Created for comfort and functionality, Connect-A-Mat is the original in interlocking comfort flooring. These light weight Ethylene Vinyl Acetate (EVA) mats allow you to create instant flooring solutions in any space. Connect-A-Mat can be used in garages, shops, gyms, mudrooms and basements and any other surface where you require anti-fatigue relief. 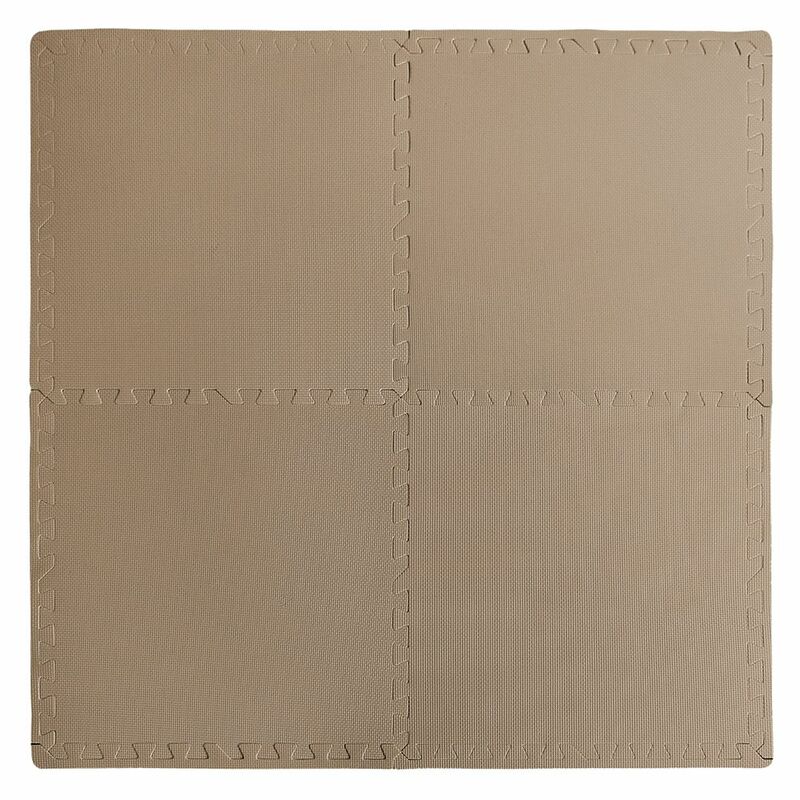 One 24 inch 4 pack covers 16 sq. ft.
With its clean and contemporary geometric pattern, the 5'2"x6'7" Fresco Barlow Taupe & Grey indoor/outdoor mat features a blend of subtle taupe and grey colours which sports a captivating modern design that will complement any living space. This premium rug is made with high quality polypropylene fibbers, resulting in a mould, mildew, and stain resistant flooring solution for your home. Densely woven, this flat weave structure provides unmatched durability and longevity while making it effortless to clean: simply spray with a hose or wipe with a damp cloth. Crafted and made in Egypt.